Ever since he released the Airwalker EP and A Place Where We Could Go I’ve been an adamant fan of Jeremy Jay and his music. But, he’s been quiet as of late, waiting almost two full years since his last release to put together a new album. According to an email, part of that seems to be that he’s been searching for the absolute perfect place to record his music. Our first taste of new music from Jeremy already seems destined for greatness, with an old 80s warehouse sound and Jay’s cool vocal delivery. His new record should come our way later this year via K Records, with a single slated for release prior to that date; for now, he’s graciously sent us this incredible tune to share with you all. Do yourself a favor if you’re new to Jeremy, and go revisit his entire catalogue. It’ll be a day well spent. 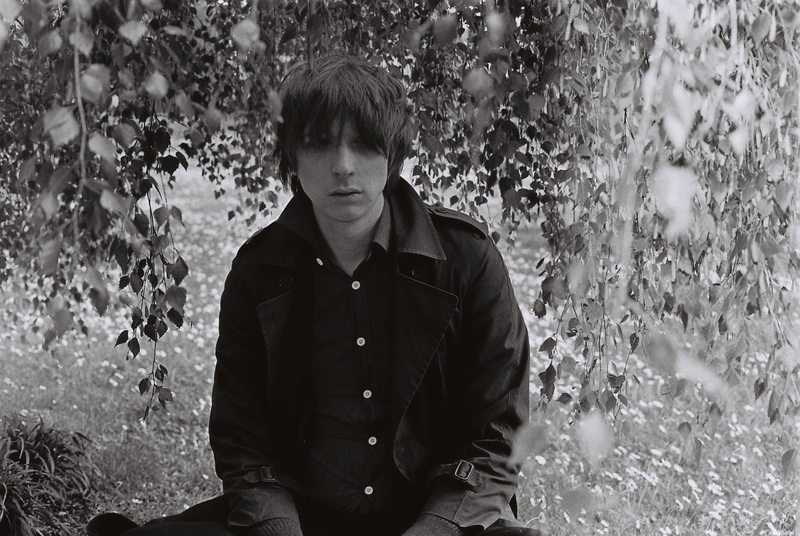 Jeremy Jay seems to be relentless when it comes to releasing material, as this is his second album in two years, on top of various 12″s and 7″s. Slow Dance, once again released by K Records, is not a huge departure from last year’s effort, but there are some subtle differences that demonstrate Jeremy’s move into brand new territory. “We Were There” enters the game with some noticeable keyboard work to comfortably coat the song in a dense fog of 80s synth melodies. At the core, it’s still the same old Jeremy pushing forward driving rhythms to accompany his spoken word delivery, but the new element displays a decision to pursue different ground. “In This Lonely Town” picks up the same style from last years A Place Where We Could Go, with its swaying rhythm moving back and forth across the speakers. At this point it seems as if the man can construct these songs with such ease that it’s hard to see him not releasing an album a year. “Gallop” plants its roots in the same soil as the preceding song, but that bass line just begs you to bop along the way. “Canter Canter” and “Slow Dance” pull back the reins just a little bit, as they drop the steady groove that has given the album its pacing up until this point. Not only do the vocals seem to take a step back, but the overall movement of the tracks demonstrates Jeremy’s newfound appreciation for a track that will build and build upon itself. Still, the vocal lay of the land is the most noticeable change here, as if our narrator is slow dancing his way through a field of poppies. Then comes “Winter Wonder” into the scene. Another slow number, but the remnants of this song don’t seem rooted in either classic rock n’ roll nostalgia nor 80s throwback. In fact, it’s one of the most modern songs Jeremy Jay has constructed to date, which definitely wins him some points, as he seems to finally control the slower tendencies of this album. But he immediately jumps back into the classic R&B sound on “Will You Dance With Me.” The barely audible piano meshed with the bass work propels the song along, though still noticeably slower than pervious numbers. The closing number here is probably one of the better songs he’s written to date. 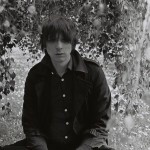 It’s as if he is channeling a more traditional approach to independent music, with gentle guitar work smeared with flowery vocals. This would fit perfectly in the lexicon of classic 90s indie pop songs, and it’s the perfect close to another admirable piece of work from Jeremy Jay. As it all draws to a close, the one thing that will remain with listeners is that Jeremy Jay has gone a bit slow on us. While the first half of the album benefits from the pacing of old, the second half demonstrates the songwriters capabilities to compose slower melodic moments. Not a huge change overall, but another solid piece of work. 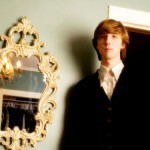 Jeremy Jay will be showcasing his talents at Emos on Thursday night. Doors will be opening up at 9pm with opening act Nic Armstrong kicking things off around 10pm. Get your tickets for only $8 over at Ticketweb. Read our review of Jeremy’s latest album A Place Where we Could Go including a song for you to preview the show. 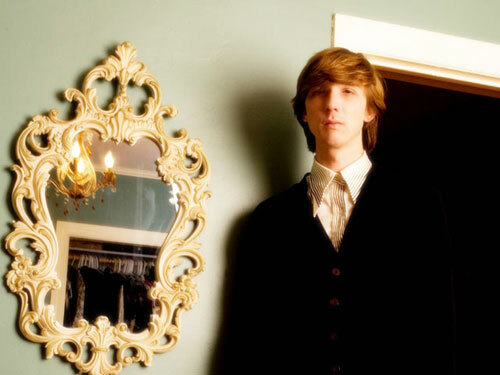 You can read more about Jeremy Jay & listen to more songs on his website. Every once in a blue moon you happen to heed the advice of a good friend, and thus was the good fortune I had with coming across this brilliant piece of work by Jeremy Jay. This album caught me by surprise, but I am so glad that I came unto it for this is exactly the sort of album I have been searching for these past few weeks. 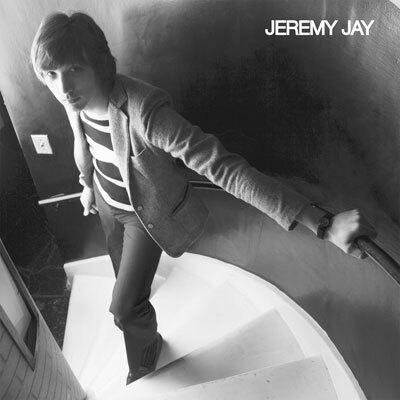 Now, Jeremy Jay comes across to many people as some sort of Jonathan Richman, and I can see that in the way that Jay seems to speak his lyrics rather than sing them, but his voice is a bit off from Richman’s. I tend to think of Robert Forster of the Go-Betweens –then again, I can see some of those Morrissey comparisons. I guess that’s it, you can try as you might, but Jeremy Jay has a voice all his own. I really enjoy the song craft in these songs. Apparently, this chap is a fan of 50’s music a la Buddy Holly or Richie Valens, and this is very clear in the instrumentation. A song such as “The Living Dolls” completely encompasses this vibe, taking you back to your very own personal sock-hop. He doesn’t stop here, always staying in the vein of classic pop-song structures. The only fault, for me as a listener, is that the music is clearly wonderful, yet it is really down low in the mix. Clearly, the focus is on Jay’s voice and lyrics, but that doesn’t mean you can turn up those guitars for the sake of the listener. Well, that is personal taste I suppose. For the duration of this album, Jeremy focuses predominantly on the topic of love, but he approaches the subject from various different angles. Each of his songs, to me, comes across as a carefully crafted love poem–but not the kind that comes across as dishonest. I particularly enjoy the fact that there is an essence of the magical or natural world in the lyrics, which wins points in my book. There are some faults here, such as the album falls short of 30 minutes, but for a debut full-length, its hard to come across much better than this. I have a feeling that by the end of the year this will sneak its way into my top ten–in fact, I’m reserving it a spot right now!